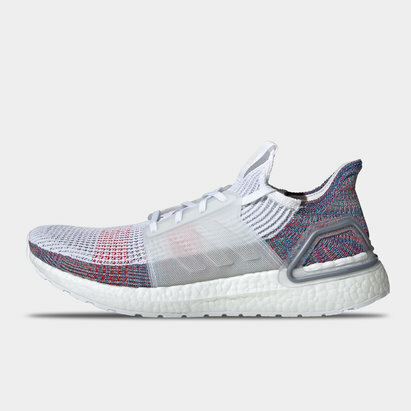 Specifically designed to meet the needs of the male runner, offering support and comfort in all the right places, run with endless energy when lacing up the Ultra Boost 19 Ladies Running Shoes from adidas in White and Blue. These adidas running shoes deliver unrivalled comfort and energy return. They come packed with smart features all geared towards giving you endless energy whilst out on a run, in the gym or walking around casually. 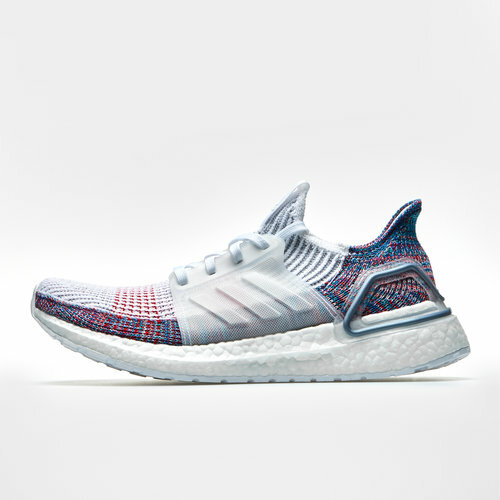 These lightweight and propulsive shoes have a seamless knit upper that's engineered with motion weave technology to provide stretch whilst holding your foot in place on those gruelling runs. The second skin fit follows the shape of the foot to reduce pressure points when on the move. 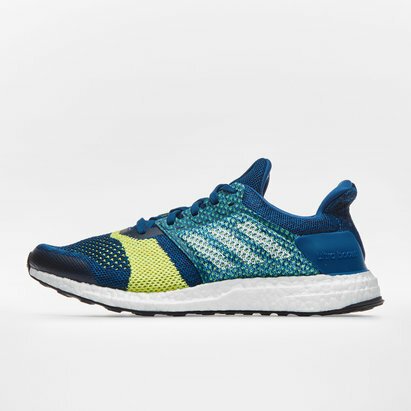 A stable running shoe, these trainers have been designed with energy-returning adidas' Boost technology within the outsole, this absorbs energy with every step and helps in propelling you along your run, meaning you can go further and longer.